At Bridges to Belonging we help people to create the lives they dream of in the community. We focus on helping people to claim full citizenship in the community. When we think citizenship, we usually think about our rights. But citizenship is also about responsibility. With this in mind, we support people to claim the rights – and responsibilities – inherent in their citizenship. This leads to several potential indicators of belonging – and perhaps, a belonging APGAR. 1. Choice: For too many people in our community, choices are made for them – about where they live, who they live with, where they work, or how they spend their days. We’ve watched in pain as someone breaks down from the weight of a choice imposed on them, and in joy while witnessing the pride and happiness shared by someone living an important choice they made. If we support choice, we support belonging. 2. Uniqueness: The human mind categorizes, divides, labels, and stereotypes. 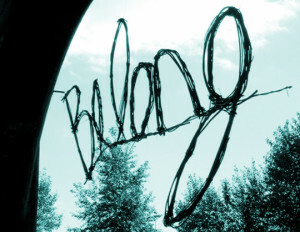 To support belonging, we need to resist this and look at people as unique individuals, each with their own talents, gifts, challenges, and dreams. When we assume we know someone because of a label, we miss out on getting to know someone deeply and honestly. 3. Relationships: Humans are naturally social and have a need for a variety of relationships such as family, friendships, and romantic love. We have watched people transform as they move from isolation to interconnectedness with relationships based on choice and common interest. And it’s why we’ve stopped aiming for independence; people are most likely to achieve their goals not when they’re independent, but when they are interdependent. 4. Gifts known: Full citizenship isn’t just about what I have a right to. It’s also about contributing to others and community. We have met people who have so often been told what they aren’t able to do, that they struggle to know what they can do. Our job – and our reward – is helping people to identify and name the gifts and talents they have, whether it be as an artist, as a helper, as a leader, as a jokester, as a friend, as someone who spreads happiness with a smile. 5. Gifts shared: When we know our gifts, we are more likely to share them. This leads to positive feelings of contributing to others and to our community, and the joy of being appreciated for the gifts we bring. Every time we pause to let someone know that they are appreciated and that what they’ve done makes a difference, we build belonging. Cameron Dearlove is executive director of Bridges-to-Belonging, a member of the New Story Group and co-founder of the Waterloo Region Community Developers Network.